This is the first free wavetable expansion for the GSi Gemini. 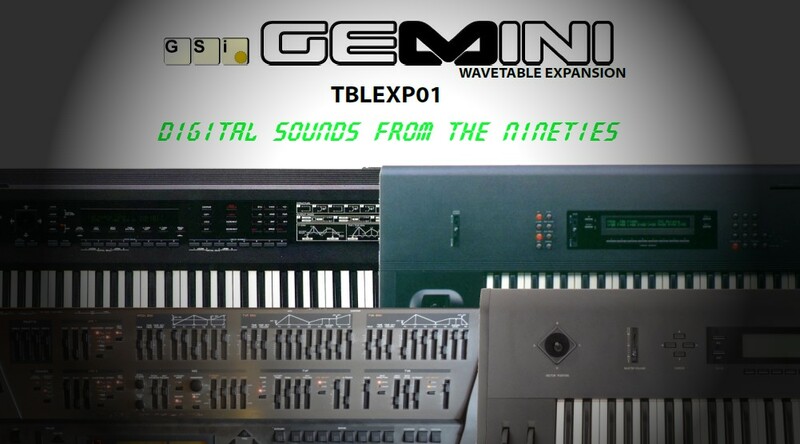 It features samplesets from some of the most famous digital synthesizers of the 80's and the 90's as well as a series of presets that use both the additional samplesets and other Gemini sound engines. The update consists of a file named "Gemini.upd" which installs the new sample data, and a series of preset files with a ".bin" extension. Click the name of a file to play.